A mobile application (Mobile App), most commonly referred to as an app, is a type of application software designed to run on a mobile device, such as a smartphone or tablet. Mobile applications frequently serve to provide users with similar services to those accessed on PCs. Apps are generally small, individual software units with limited function. A mobile application also may be known as an app, Web app, online app or smartphone app. Public health-related apps growing in recent years: Smartphones, tablets used for health and there are many reasons to develop apps. Today, tablelet and smartphone are widely using in the world. People carry devices all the time. We can reach them 24/7. They can access the apps very easy. The mobile applications for public health, which help public health professionals have another source to turn to when looking for data, information and motivational materials that will help them promote and protect the health of the public. Moreover, the apps allow users to access information and personalized data without searching for information on the Internet. They can serve as a direct window into a company or organization’s product that users can reach quickly and with a minimum of clicking and searching. Therefore, public health-related apps is essential. Once the domain of games and social media, smartphone and tablet applications have come a long way in recent years, particularly in the field of public health. There are apps for an array of public health issues and audiences, and the value of apps has been recognized by authorities. Increasingly, public health organizations are putting out their own apps and their apps are getting better. Public health organizations and agencies are developing apps aimed at helping people live safer, healthier lives. There are as many reasons to create apps as the apps, which provides users with updates about infectious diseases around the world. Users can set up alerts for diseases tracked by the app, which can be emailed to them. While smartphones are a popular platform for games, they are increasingly being used to monitor health, diet and exercise. Many people choose to present their apps in the form of a game with an educational message. Ex: Pills vs. candy game, is a game that asks players to choose which of two pictured pill-like items is actually a drug, and which is a lookalike candy. The app is based on the system’s online game, which had become popular with parents and teachers, who played it with children. Some apps can and often are used to present data, others are being used to gather them. Today, tablet devices and mobile devices become available and decrease in cost, their number of users and apps is expected to grow as well. Public health and medical apps are growing in popularity and number. The next generation of remote patient monitoring systems will be mobile-phone based, because we need to address a huge number of people with chronic conditions in the millions and tens of millions, and many of the current technologies can only deal with the hundreds of thousands. How to develop a mobile application for public health? Check out all similar apps in other app stores or the same service. Look up their popularity quotient by studying their download statistics, or by looking into their ratings and reviews. If possible, try downloading similar apps or register using services, to know about their pros and cons and also to see what makes them tick, from an end-user perspective. Though you may have to spend on some of these apps, it will give you a fair idea about the competition. See that your app offers something that extra something special to your users. This will let your app stand out from the rest. Be minimalistic with the app’s features initially. Try not to cram too many things into your first release – more advanced features can be added onto your future releases. Initially, develop mobile software for only one mobile platform. Do not rush to deliver the same to multiple mobile platforms unless you are absolutely sure where you are going with your app. Make sure to plan ahead and choose the right mobile platform for your app. If possible, make detailed UI sketches of all app screens. This will make it easier for you and also give the app a better finish. Be very particular about the person or company you hire to develop your app for you. Be actively involved in every stage of the app development and test it thoroughly before submitting it to your customers. Keep your entire focus on the end-user. Remember, they are the reason why you are developing the mobile software. 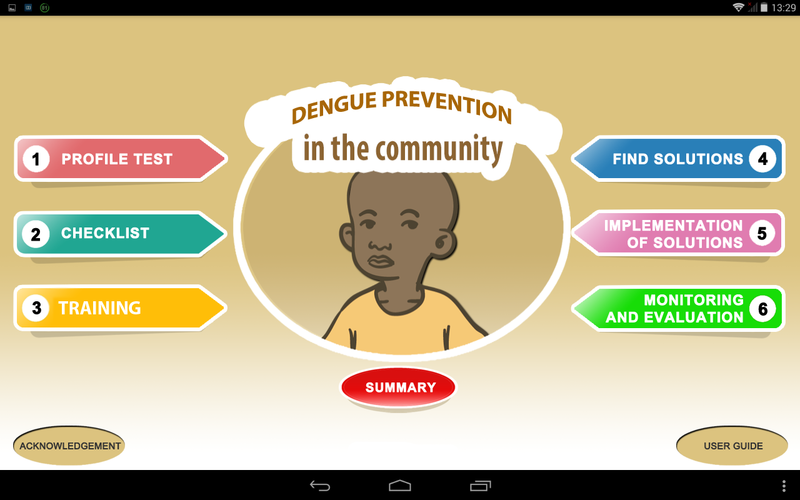 Let to VNG Education helps you build the mobile application for public health.